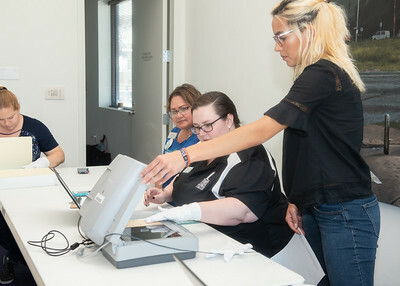 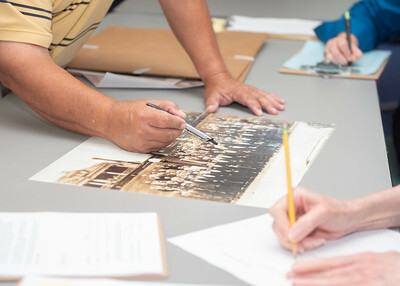 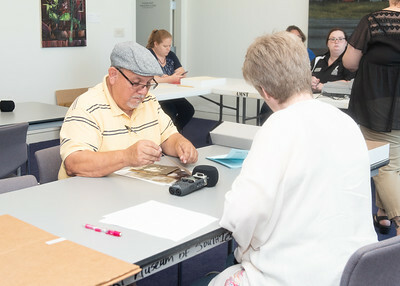 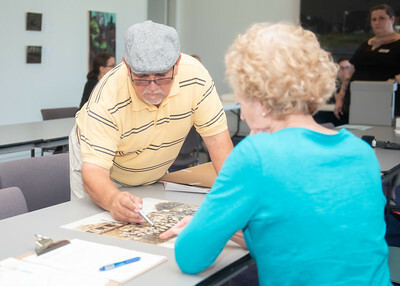 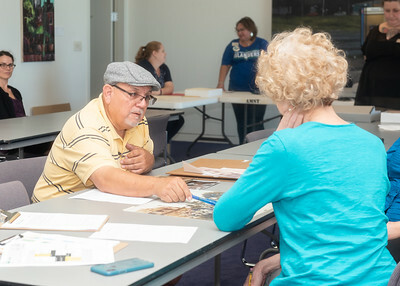 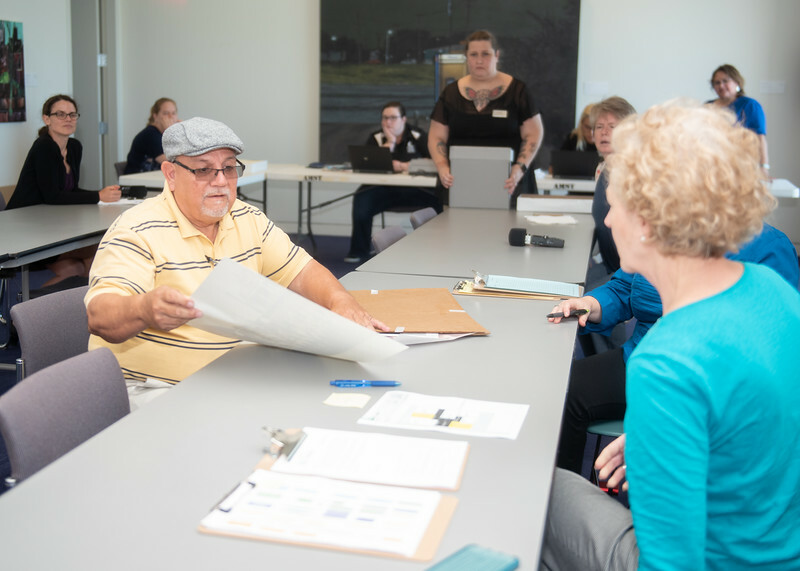 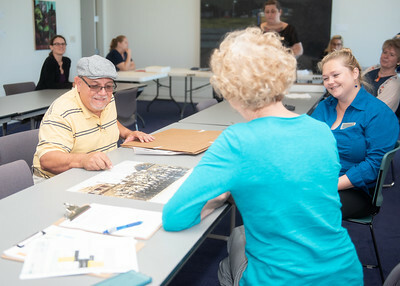 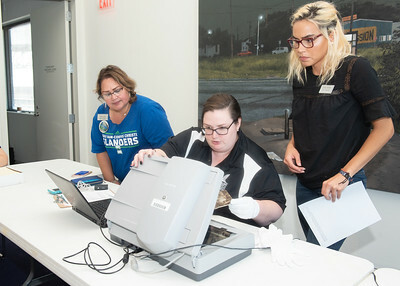 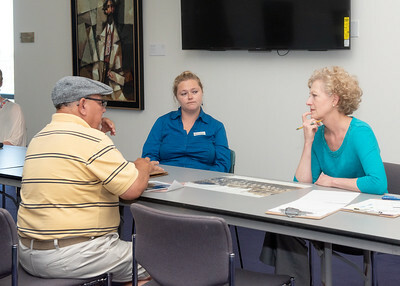 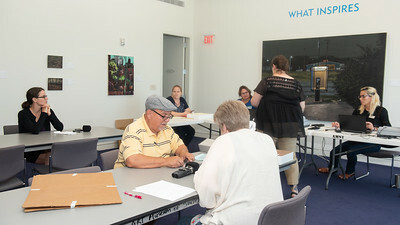 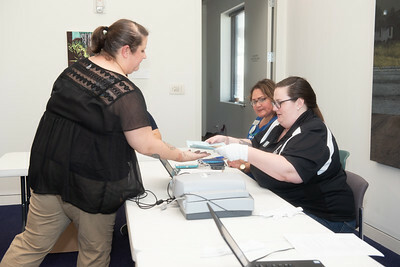 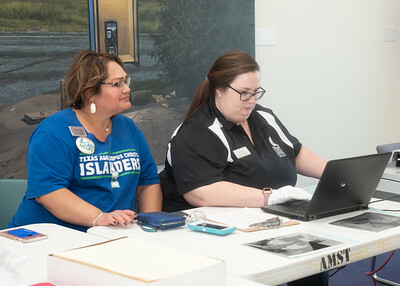 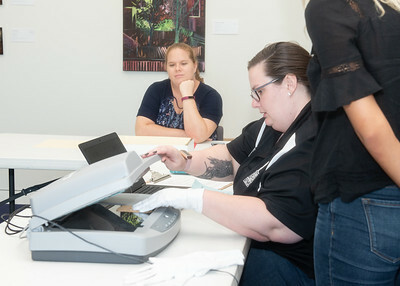 In hopes of preserving local history, the Mary and Jeff Bell Library at Texas A&M University-Corpus Christi hosted its first public History Harvest on June 8-9, at the Art Museum of South Texas, an affiliate of Texas A&M-Corpus Christi. 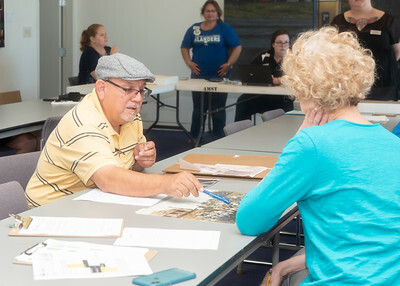 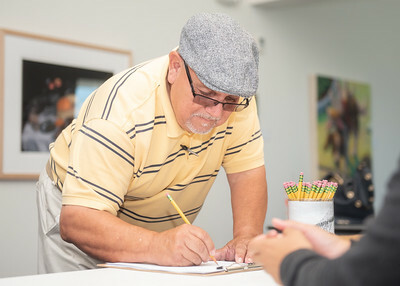 The History Harvest was open to all resident of the Coastal Bend with the goal of collecting items such as letters, photographs, videos and other documents from everyday citizens. 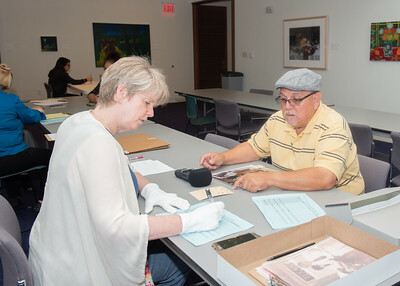 With their permission, these items would then be held in the Bell Library’s archives and be made available to anyone interested in learning more about our local history. 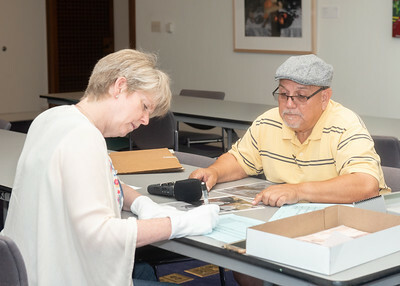 Alfonso Gomez donates historical photos to be archived by the staff of the Mary and Jeff Bell Library during the Public History Harvest.